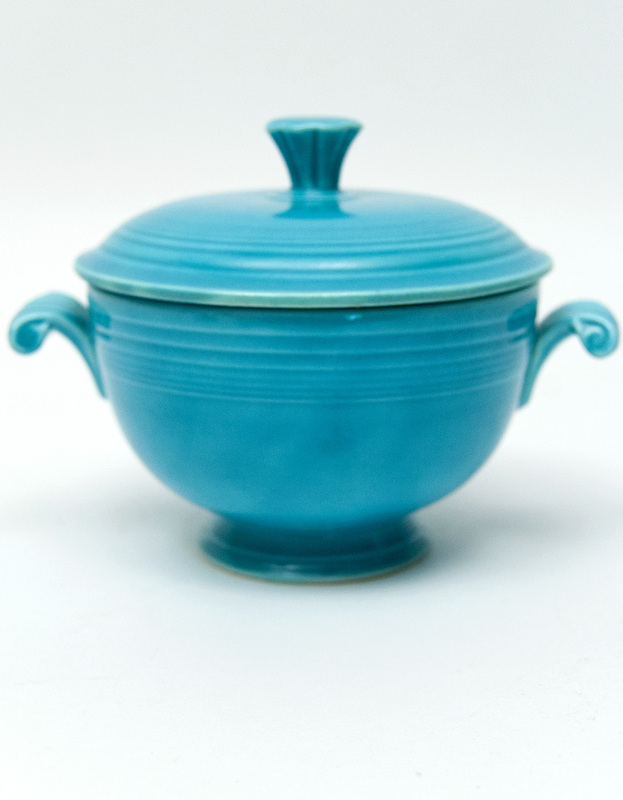 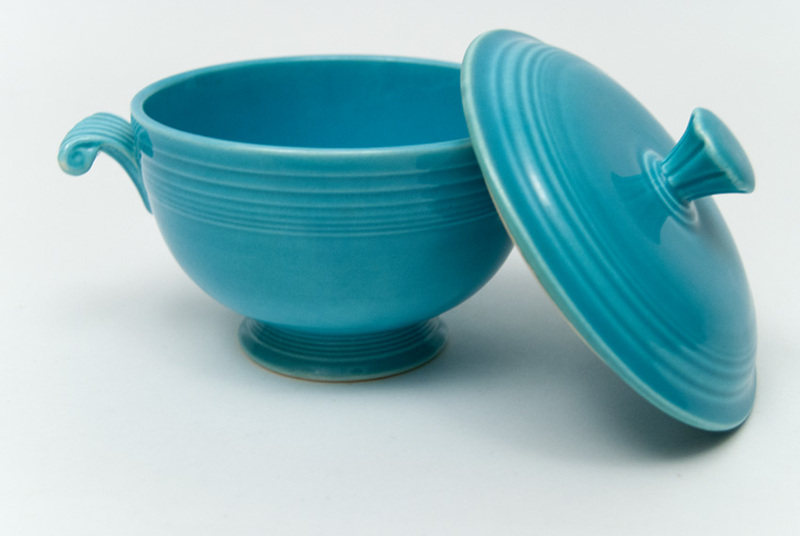 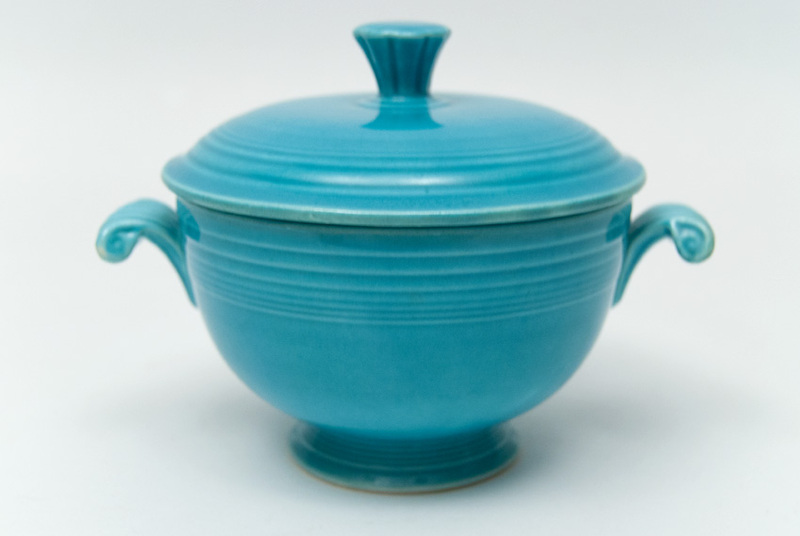 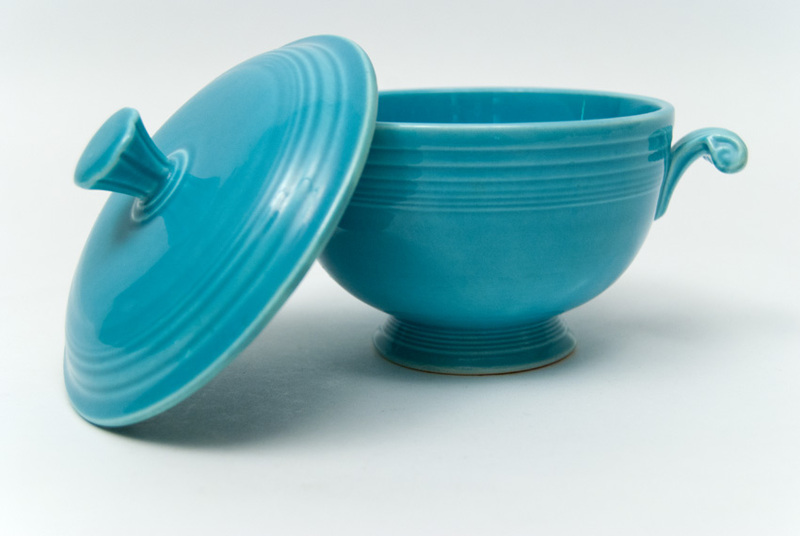 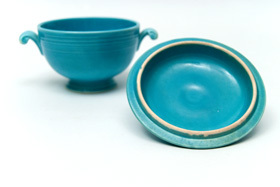 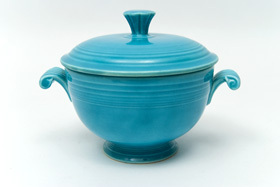 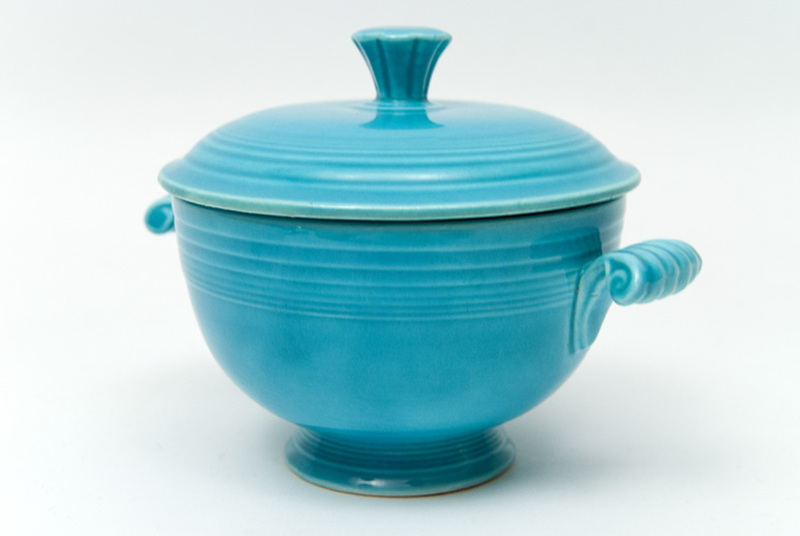 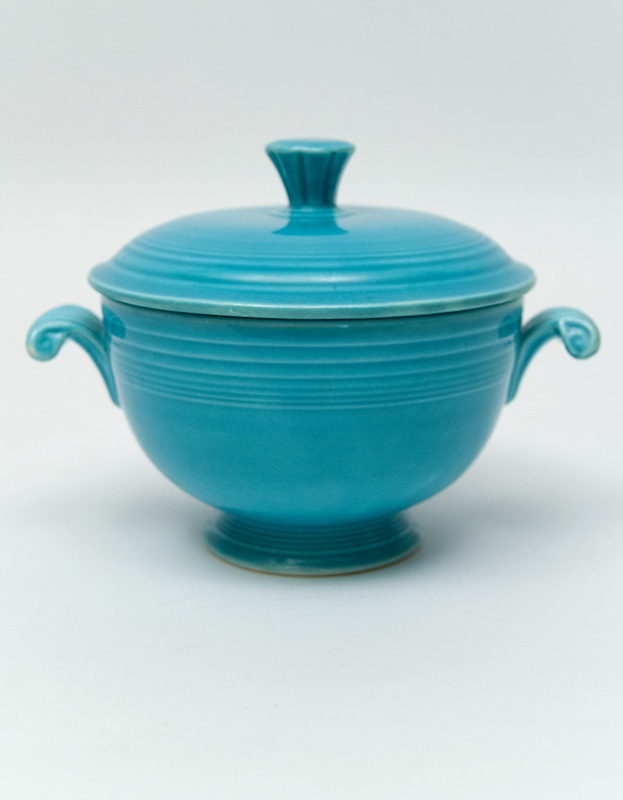 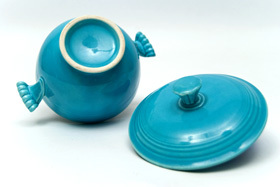 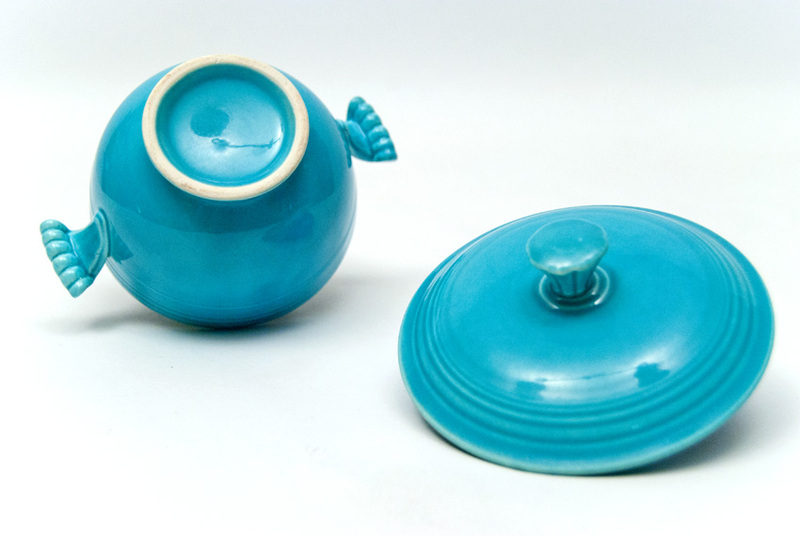 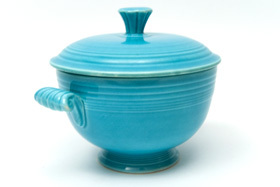 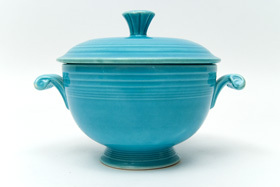 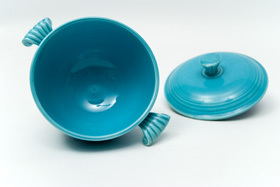 Circa 1938: The vintage Fiesta covered onion soup bowl was discontinued very early on in production, just ever so shortly after the turquoise glaze was formulated, so finding the already hard to find covered onion soup bowl in the original turquoise glaze is next to impossible. This example is in perfect condition without a speck of damage, without glaze irregularities or manufacturuing flaws, and of course without a single touch-up or repair. I have only seen a few of these in person for sale and have always passed because of a flaw or some damage or some touch-up, but when this one came along, straight from an Iowa farmhouse, I had to pick it up and offer it for sale. This example will not disappont you and is sure to be the highlight of your collection.